Whether you are a blogger or an author, or both, you continuously need to research and select suitable keywords. While the Google Keyword Tool is the choice of many, you need to have an Adwords account to be able to use it. But Google Adwords is for advertisers who use it to assign keywords to the Google Keyword Planner for their campaign ad groups. For authors and bloggers, going to all the trouble of signing up for an account, including your billing information, is not worth the effort. However, there are many free alternatives that you can use to find keywords for the articles you write, or for the Amazon keywords that you need to add to your books and Kindle ebooks when you publish. 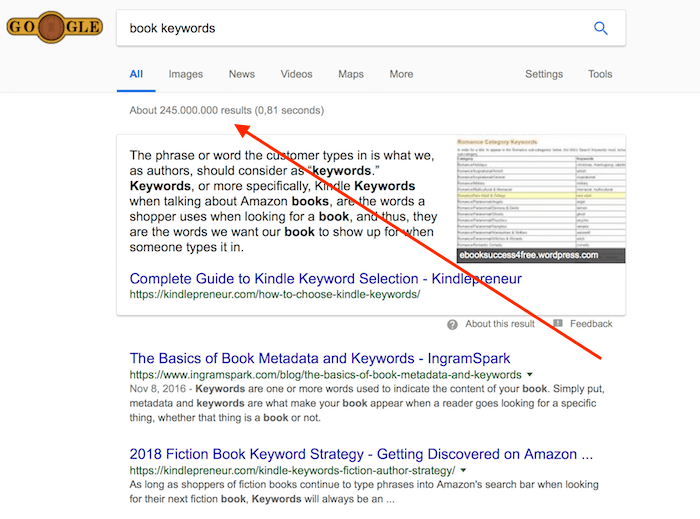 In fact, for authors, you should continue to research keywords even after you have published your book because improving them can help increase sales. You can use Google Search to find associated keywords. All you need to do is type in your search term and hit enter. But it only shows you the number of results. But if you scroll down to the bottom of the page, you will find a short list of keywords that are associated or related to your seed keyword. Now you can start to build a list of new keywords and keyword phrases. You can do a similar search on Amazon. However, it works differently to Google. Start by going to Books, and then type a word in the search bar. 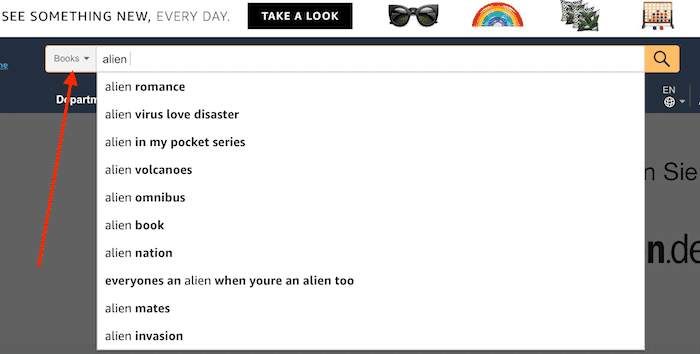 As you type, a list of phrases that have been used by Amazon shoppers will appear. You should do the same again, but this time, selecting the Kindle store. 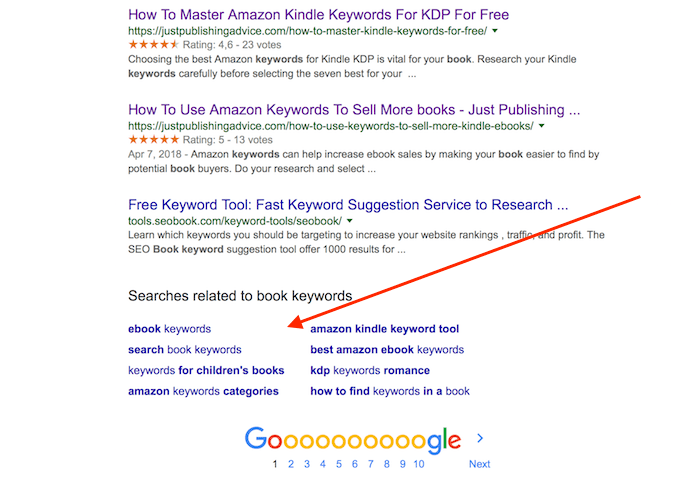 By using Google and Amazon, you can put together a list of keyword suggestions. But there are better tools than simple search engine input that you can use. Ubersuggest is a fantastic free tool. It uses data from Google Keyword Planner, and Google Suggest to give you hundreds of keyword suggestions. For each word, it gives you search volume, cost per click and keyword competition. I used the word, roses, for my seed keyword and here is a scrolling list of only some of the results. It returned 798 in total. Then if you hover over the small graphs, there is more information. The first graph gives you the number of average monthly searches. The second graph gives you the number of clicks. That is a lot of data from a free keyword tool. Google Keyword Suggest Tool has one big plus. 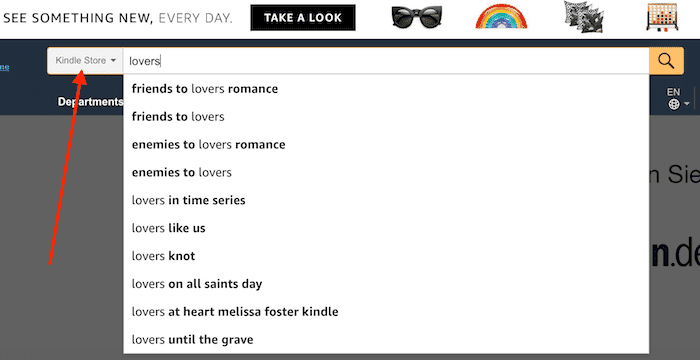 It allows you to search for Amazon keywords. This is a big advantage for authors. There is also the option to search Bing and YouTube. There is a 100-word limit if you want to dig deeper, but that is more than enough for most users. LSI Graph uses Latent Semantic Indexing (LSI). Another expression used for LSI is a long tail keyword. In other words, it finds words that are related to your seed keyword. There is a daily limit on the number of searches you can do. But it is still a very useful tool as it gives you a long list of keyword ideas you can scroll through. KW Finder is limited to 2 daily searches for free, but the information is very useful. Especially that it gives you a keyword difficulty score. A very high score means that it will be very difficult to rank for that keyword. Soolve is a fun way to search for keywords. It is a free tool that looks like Google, but it finds words from lots of different places. Again, there is Amazon but also Wikipedia, Answers and Bing. Just add your word and let it populate each source. Google Trends is most useful for finding current trending search phrases. However, it is free, and there is no limit on the number of searches you can do. The results are separated into two categories. Related topics and Related queries. Both can give you some good ideas for keywords. 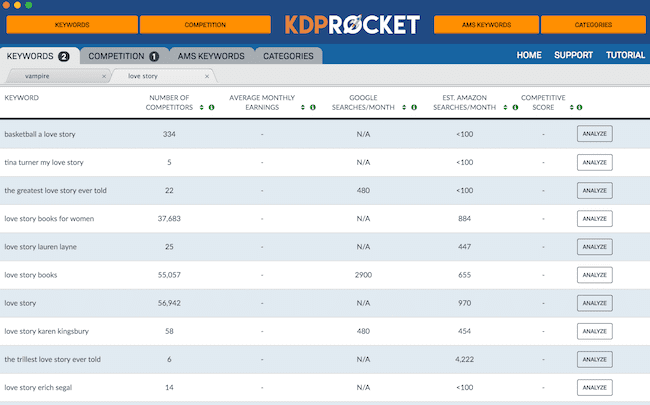 If you have a number of titles or if you want to fast track and refine your keyword research with real-time Amazon data, you might want to investigate KDP Rocket, which is a pro tool for Amazon book keywords and categories. 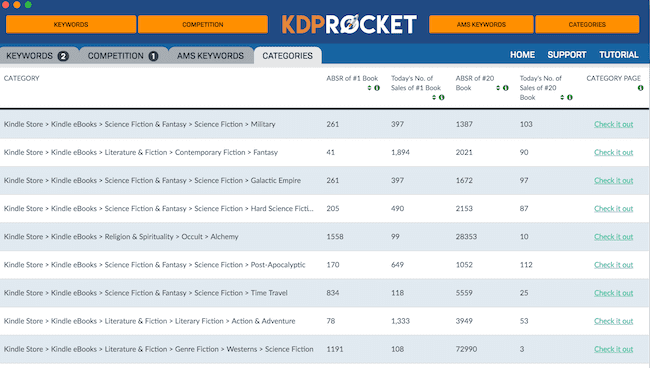 You can access the entire real-time Amazon database to find the best seven keywords and two book categories for all your titles. It also gives you access to competition analysis and daily and monthly sales. If you are an author and you need to add or improve your seven Amazon book keywords, you could consider adding the free tools I have listed above to your bookmarks. They will help you find better words and phrases that are vital in helping book buyers find your books using Amazon search. If you are blogging a few times a month, using these tools will help your articles rank much better. It takes away a bit of the guesswork in trying to find a logical search phrase to add to your title and meta description. However, if you are trying to monetize your blog, or you are already making a little money from blogging, it is better to use pro tools. To get pages, posts and articles to rank high and quickly you need much more up to date competitive information. Having the tools to search competitors ranking keywords, investigate related keywords on high ranking pages and to pull data for content creation are vital. You will only find these if you use a premium SEO suite such as Semrush, Majestic or Ahrefs. I chose Semrush, and haven’t looked back since I started using it. It has helped me triple my organic traffic and increased my number of top three ranking pages by tenfold. If you are using Adwords to promote your blog or even your books, then you will have access to the Google Keyword Tool and Planner. So you should use these tools to their full capacity. In the end, it about choosing the best way for you to find keywords to suit your needs. No matter what you are doing, if you want to succeed online, you always need to find good, better and the best keywords to promote your product. Fantastic advice. Thank you! Bookmarking. Great article! I’m bookmarking this.